More than a dozen hit songs are set to join the Rock Band 4 DLC music library in December including a blast from Rock Band past: “Chop Suey!” by System of a Down. When the popular song from the Rock Band 2 soundtrack joins the Rock Band 4 DLC music library this week it will mark the first time a song has appeared on-disc and later been made available for purchase as Rock Band 4 DLC. Stay tuned to the Harmonix blog, as well as Rock Band’s Twitter and Facebook pages, for exciting DLC announcements and gameplay reveals throughout the month. The lead single from Kings of Leon’s latest studio album, “Waste a Moment” starts off this month’s new DLC. Drummers will have a blast with this tune. Hi-hats were authored to the blue pad / cymbal to allow for proper tom sticking, so keep your hands and feet active throughout the track! “Chop Suey!” by System of a Down makes its way to the Music Library as DLC this week. A legacy song off of the Rock Band 2 disc soundtrack, “Chop Suey!” brings a burst of high energy to your next Rock Band party. 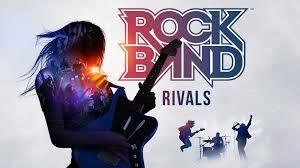 It’s also a fan favorite at our Rock Band events, so grab those instruments and rock the house! Finishing the DLC is a recent hit, “Starboy” by The Weeknd ft. Daft Punk. Daft Punk, iconic electronic musicians, team up with the smooth tones of The Weeknd to make this stellar track. Drums will experience a fair amount of kicks in the tune; head over to Practice Mode to warm up before the show.